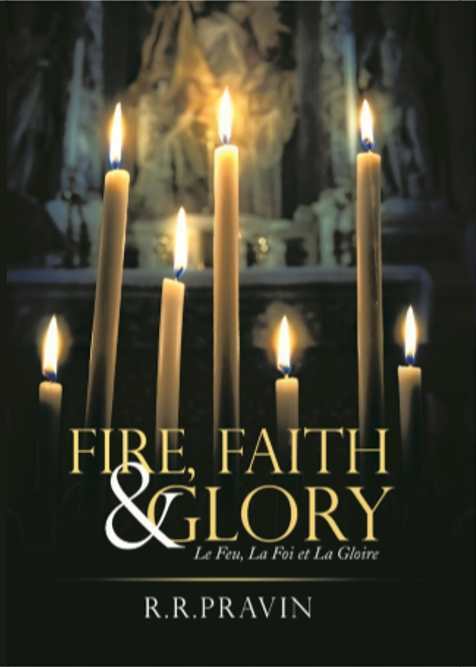 Fire, Faith & Glory is a heartfelt poetry collection centered in a pediatric intensive care hospital. R. R. Pravin’s poetry collection Fire, Faith & Glory responds with emotional eloquence to a stressful, difficult job working with ill children. The book opens with a colleague’s neutral gaze, introducing and humanizing Pravin, and contextualizing his hospital work. The introduction is followed by a short author’s note revealing that the purpose of the poems is to show what children undergo in hospitals, and to offer families catharsis. Each poem is drawn from a scene, thought, or realization from the pediatric intensive care unit. Subjects range from parents focusing on simple, joyful memories during overwhelming times in “Wasted Time” to issues of faith in “How?” which questions why God allows children to grow ill and die. Each poem is a self-contained narrative; they work together almost as a long-form poem due to their consistent tone and themes of introspection, grief, and overcoming hardship. All poems are around two pages long, with quick, lyrical rhythms and simple free-verse structures. They are not linguistically or structurally complicated; there is little to no technique at play. Figurative language is avoided; poems rely on content instead of style. They read like stream-of-consciousness revelations and ponderings that are intensely personal, but so open as to be easily accessible to outside readers as well. The book’s heavy subjects include children dying and suffering. Poems operate without flair, as with “Fire”: “A fire burns / Within my belly / My child is dying.” The subjects themselves are effectively addressed, thanks to the book’s straightforward portrayal of painful, incomprehensible loss. Word choices are bare and honest; the everyday language doesn’t leave room for more elaborate interpretations, and the emotional pain evoked by the scenarios is visceral. The poems become surprising only when the reality behind them is revealed. To achieve clarity, poems are followed by explanations of their inspiration and composition—a unique addition for a poetry collection. Because the poems are sparse, these explanations are useful, revealing otherwise vague backgrounds, as with “What was (never) meant to be,” which discusses a failed pregnancy, and “Can you hear,” which asks deceased children to watch out for their parents. These brief explanations provide fodder for thoughtful reflection; second readings of the poems are then clearer.